Local journalist and broadcaster, Richard Hope-Hawkins, will give a half-hour talk from 7 to 7.30pm in the Apostle Room at Clifton Cathedral. He discovered that his great-uncle 2nd Lieutenant George Mitchell fought on the Somme alongside Australian soldiers, as did many from Bristol. His expert knowledge of World War I includes the Battle of Fromelles, a subsidiary attack during the Battle of the Somme. 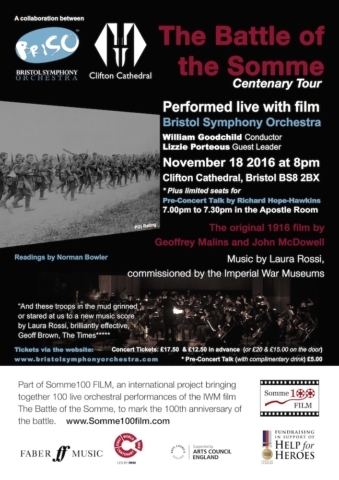 See the iconic 1916 silent film by Geoffrey Malins and John McDowell, with composer Laura Rossi’s acclaimed orchestral score performed live by Bristol Symphony Orchestra. To mark the centenary of the end of the Battle of the Somme, we are working in partnership with Clifton Cathedral, Imperial War Museums (IWM) and Somme 100 Film, to present this extraordinary and moving, UNESCO-listed historical film, in the striking surroundings of Clifton Cathedral. Smiling awkwardly at the new-fangled cameras, troops move towards the Front in the Great War. Their actions are far removed from the usual swagger and march of war films, but this is very much documentary, not fiction. 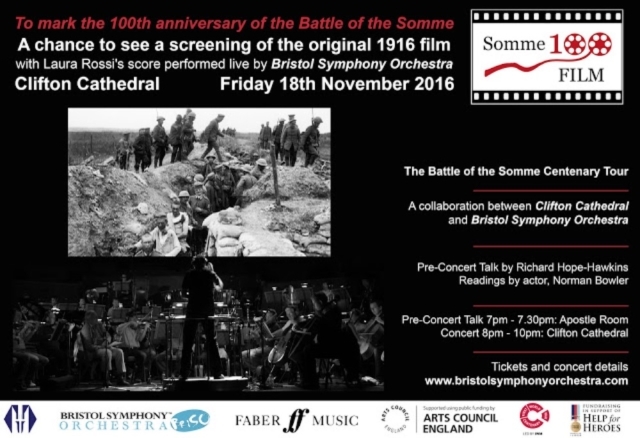 The Battle of the Somme gave its audience an unprecedented insight into the realities of trench warfare, controversially including the depiction of dead and wounded soldiers. It shows scenes of the build-up to the infantry offensive including the massive preliminary bombardment, coverage of the first day of the battle (the bloodiest single day in Britain’s military history) and depictions of the small gains and massive costs of the attack. It remains one of the most successful British films ever made: almost half the UK population at the time watched it, hoping to catch a glimpse of a family member or friend. Message to Will and the Orchestra. 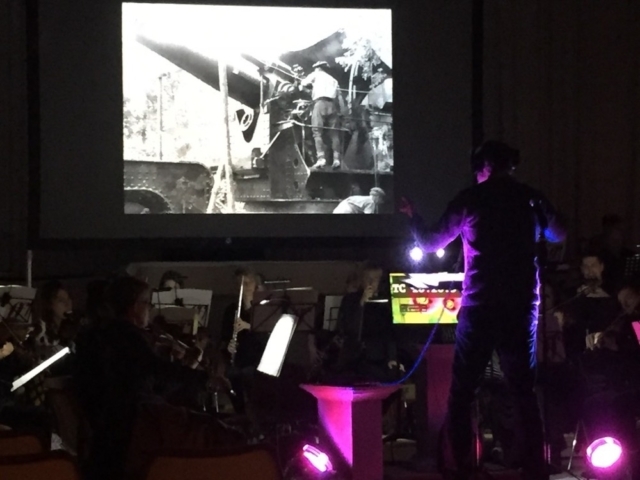 I just wanted to respond quickly to say you were all truly wonderful at this evenings Somme performance. 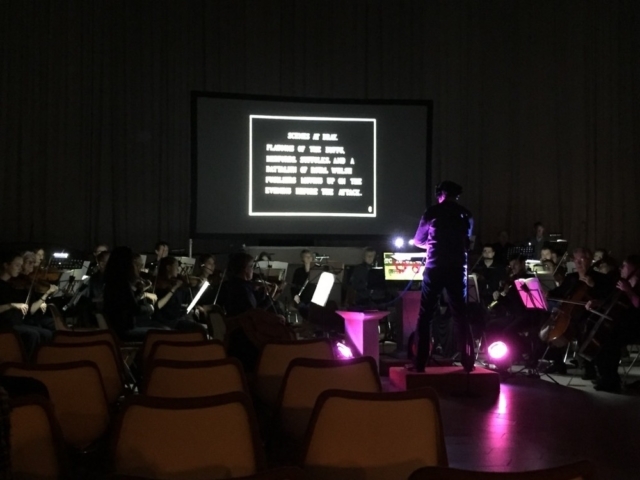 Unfortunately I am no musician, however, I could recognise just how music and film melded to be “one” (I hope I am making sense!) 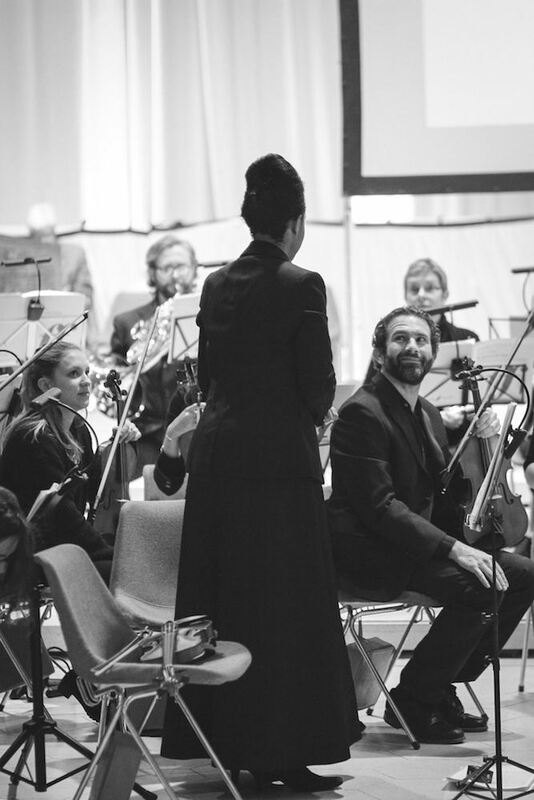 It was a beautiful score by Laura and conducted and played so wonderfully by you all. It was such a marvellous way to pay tribute to all those lost or injured in this terrible war (My grandfather was badly gassed in the trenches and died at 45 during WW2 as a direct result of gassing. I also had a great aunt who was called up on the first day of war and arrived in France a week later to work in a field hospital). Thank you again for a really amazing and poignant evening. I look forward to another BSO outing in the future”. 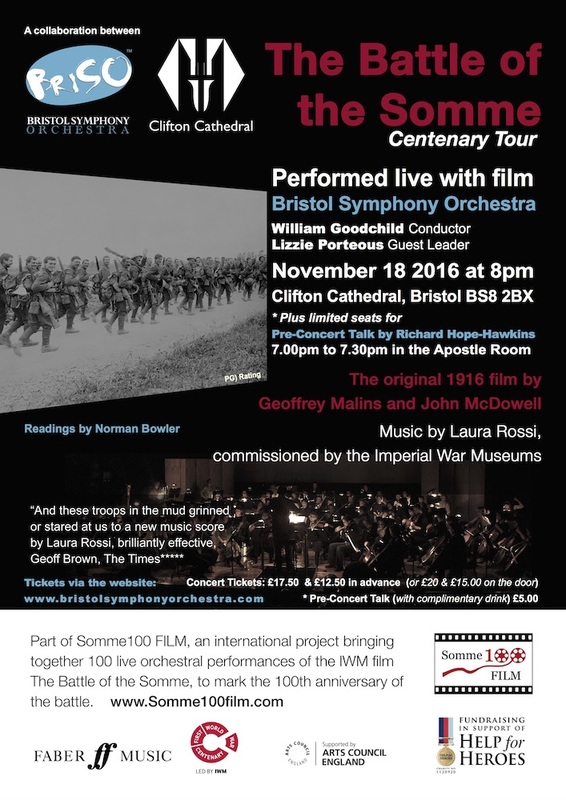 “Run through of Battle of the Somme at Clifton Cathedral… spine-tingling moments! Audience in for a treat tonight”.